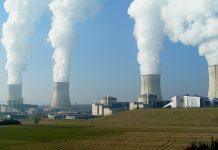 Investors have a new opportunity for a stake in nuclear power. Last week a successful initial offering was staged by a new player in the uranium supply chain. Yellow Cake, plc. (YCA: LON) sold 76 million shares at £200 per share, raising £151 million (US$200 million). 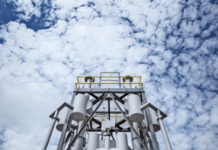 Uranium Participation Corporation (U: TO)took US$25 million of the deal, giving the Canada-based uranium speculator a 16% stake in the company. Yellow Cake is listed on AIM under the symbol YCA. In its third day of trading the stock closed up 1.25% from its debut. 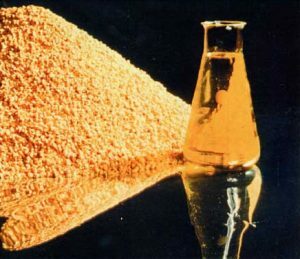 Yellow Cake means to be a player in the uranium market, buying and holding a stockpile of the ‘yellowcake’ concentrate or U308 from which the company takes its name. The company proposes to act as an intermediary between uranium producers and nuclear utilities. Management has wasted no time in establishing relationships and investing its capital – moves that could set up a compelling investment opportunity for investors. In April 2018, Yellow Cake announced an agreement with CanAlaska Uranium Ltd. (CVV: TSX) that gives Yellow Cake the option to acquire up to 60% ownership in CanAlaska’s Grease River uranium development project in the Athabasca Basin in Northern Canada. The option can be exercised with payment of CN$300,000 in cash and 2.5 million Yellow Cake shares. The initial exercise payment must be followed up with an additional investment of CN$5.0 million to fund exploration in Grease River. Eventually the two companies are expected to form a joint venture to exploit the Grease River uranium. Yellowcake made an even more significant move through an off-take agreement with JSC National Atomic Company Kazatomprom, a significant uranium producer in Kazakhstan. With the IPO completed, Yellow Cake is buying 8.1 million pounds of U308 or ‘yellowcake’ concentrate from Kazatomprom at a price near US$21.00 per pound. Yellowcake has also pledged to buy up to US$100 million of Kazatomprom’s uranium annually for the next nine years. The off-take agreement represents about a quarter of Kazatomprom’s production capacity. Yellow Cake is entering the uranium market at a pivotal point in the industry’s cycle. 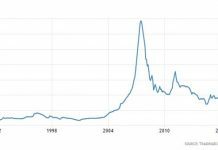 With nuclear power out of favor since 2011, when a natural disaster cause a massive failure at the Fukushima Nuclear Power plant in Japan, uranium prices have been at record low levels from a high around US$70.00 per pound. Indeed, Yellow Cake just bought concentrate material from Kazatomprom at a price about 8% below the prevailing spot price near US$22.50, according to uranium industry analysts at UxC. The current concentrate spot price is well below the marginal cost of production for most uranium producers. As a consequence many uranium players have shuttered production and delayed exploration projects. Even Kazatomprom, considered to be among the lowest-cost uranium producers in the world, has announced plans to cut production by 20% or about 11,000 tons over three years beginning in 2018. Kazatomprom’s announcement was followed a month later by a similar decision from Cameco (CCJ: NYSE, CCO: TSX) to suspend production at its McArthur River mine beginning January 2018. Since Kazatomprom is the largest producer in the world, its market moves could have an impact on the entire industry. 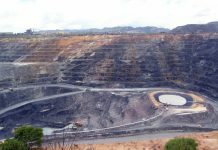 The company’s decision to cut production by 11,000 tons represents about 7.5% of total global uranium supply while the deal with Yellow Cake soaks up about 5%. Yellow Cake may have come to the market at the perfect time. Many in the industry believe that higher prices are around the corner. The logic is that as low cost producers such Kazatomprom and Cameco cut output, there will be pressure on supply from uranium users coming into the market to replace expiring supply agreements. FocusEconomics, an industry research firm, has predicted a spot price of US$26.30 per pound by the end of 2018, representing a 17% increase over the prevailing spot price. Uranium prices are determined in a murky environment. There is no open market for uranium concentrate and therefore no posted clearing prices. Buyers and sellers negotiate contracts privately. Nuclear power producers typically set up long term supply pacts at contracted prices above the spot price. At the beginning of 2018, reported contract prices were near US$30.00 per pound compared to the prevailing spots price near US$20.25. Uranium pricing is essentially the same worldwide. Contract prices are heavily influenced by the uncovered supply requirements of utilities with nuclear power plants. UxC estimated that uncovered demand was near 4.1 million pounds at the beginning of 2018. The figure is not significant, but UxC estimates that from 2018 through 2020 there will be 54.9 million pounds requiring coverage. After 2020 annual uncovered demand is estimated to rise rapidly to 150 million pounds by 2025 and over 179 million pounds by 2030. With contracting activity picking up, the prognosis for U308 prices appears promising and may prove Yellow Cake’s leadership to be remarkably prescient. What may be even more favorable for Yellow Cake and its stockpile of U308 is the gap between uncovered demand and production capacity. The predicted 179 million uncovered pounds in 2030, is estimated to exceed currently planned production capacity by 16 million pounds. The potential for a future supply gap in uranium could be especially helpful for a well funded intermediary with the ability to access the capital market and secure off-take agreements with the largest uranium producers in the world. The other collector of uranium supplies, Uranium Participation, is now one of Yellow Cake’s significant shareholders. It also presents Uranium Participation shares trade on the Toronto Exchange at 9.7 times trailing earnings and 1.1 times book value. That provides something of a ruler to measure Yellow Cake. Debra Fiakas is the Managing Director of Crystal Equity Research, an alternative research resource on small capitalization companies in selected industries. Neither the author of the Small Cap Strategist web log, Crystal Equity Research nor its affiliates have a beneficial interest in the companies mentioned herein. A Light At The End Of The Bridge For Lightbridge?